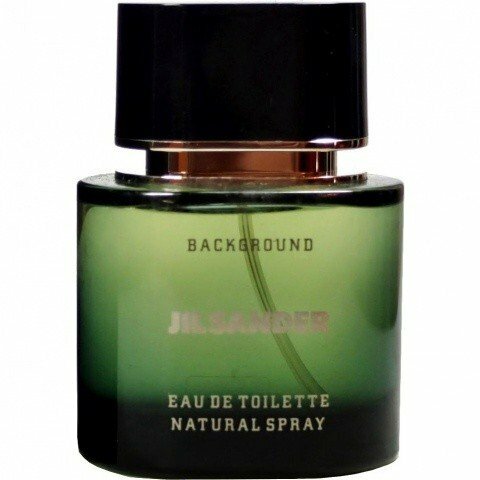 Background (Eau de Toilette) is a popular perfume by Jil Sander for men and was released in 1993. The scent is spicy-sweet. The longevity is above-average. The production was apparently discontinued. Another great fragrance about which much has already been written here. The first time I tested my minis, I was blown away. A high quality vintage composition which I didn't know yet. Today the second test with minimal attenuated rating and evaluation on my part, the 9.0 remains but because that was the first impression. In the beginning the raspberry with lavender stings like a vespe when you annoy it. Stinging, opulent, strong, somewhat soapy. After that has subsided a bit, the flowers and heliotrope come. Which not everyone perceives directly because they are well embedded in the fragrance. Finally, the result is a creamy powdery, soft and soft, feminine fragrance. Amber, musk, tonka bean and vanilla come into play. Won't every man like. The raspberry is preserved long into the heart and base notes. The fragrance can also be worn by women and could be classified as unisex. Today a sought-after classic that is sold at a high price. I don't see any associations with Joop Homme, not even with Relax. Such an understated name, Background, which appeals to me a little, but maybe a little TOO understated. I mean, who would want to try and/or buy this based on such a boring name? I personally think a name can make or break a fragrance. Maybe this has something to do with it being discontinued? But anyway, as I read the notes, I now realize it has quite a bit of anise, which I didn’t recognize during my first wearing, although I love the smell of licorice. It’s nice, but not Full Bottle worthy. As others have said, it does remind me of Noxema, but also has a slight COLA vibe, maybe a raspberry cola. (I love a raspberry note, if done right.) Nice enough, but my humble opinion is Background is a bit muddled, with too many unnecessary notes. It’s alright, but I think it needs to stay in the… background. There were times when perfumes were an opulent multitude of components, an excessive accumulation of different ingredients that made pinpointing individual notes difficult. This gradually changed after the 1990s. The fragrances were not necessarily flat, but rather predictable. 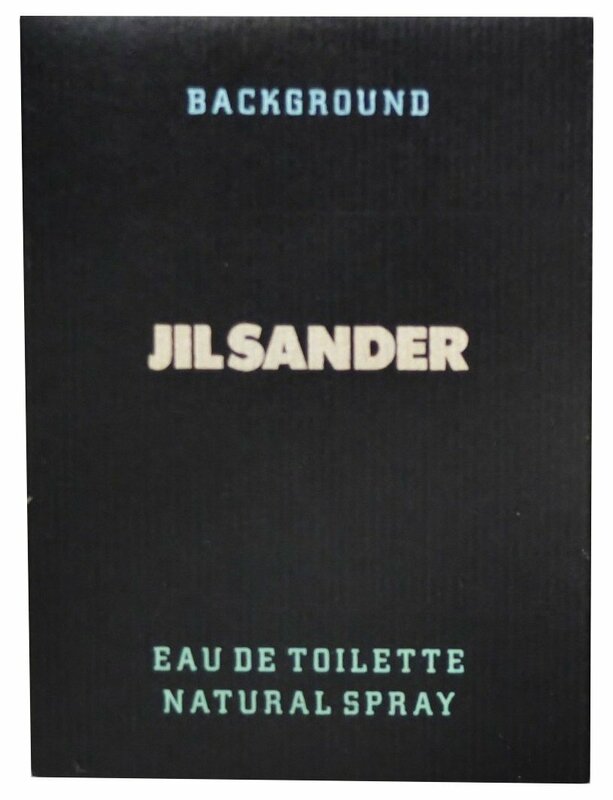 "Background" by Jil Sanders is clearly "stuck" in the Good Old Days. Even today I have a hard time just to guess at some fragrance notes. Rather unimpressive is the box it comes in. A simple black color with a subtle silver and light blue print. The bottle has a flattened front and back, looks like a sturdy short column, and is made of smoky deep green glass. A solid black cap, plus a thin silver band, perches on top. So inconspicuous that one might overlook it, if one does not know the scent. But, once you have sniffed it, you will never let it go. The opening of this fragrance comes with a Bang! in a rush of fresh spiciness. Bergamot, lemon, tarragon and above all anise forge forward, with just a hint of licorice. Gradually more diverse flowers and spices move in, impossible to detect them all. Lavender and carnation are present, along with a velvety-soft, almost balsamic cinnamon. There are lily-of-the-valley and jasmine, I believe. Slowly one feels wrapped like in a down comforter, feather by soft feather, with a sweet lasting softness. There is much tonka and more vanilla, but also sandalwood and cedar. I can make out amber and some musk. Fortunately, this is such a soft and balsamic scent - the intense sillage would otherwise be too strong. Here, it remains a very pleasant erxperience. The longevity meets high standards, just sparingly applied, this scent fills the whole day. The background of yesteryear with opulent aromas has become rare in the mainstream segment of today, but you can still find many in the niche section. You can look there and get lucky. 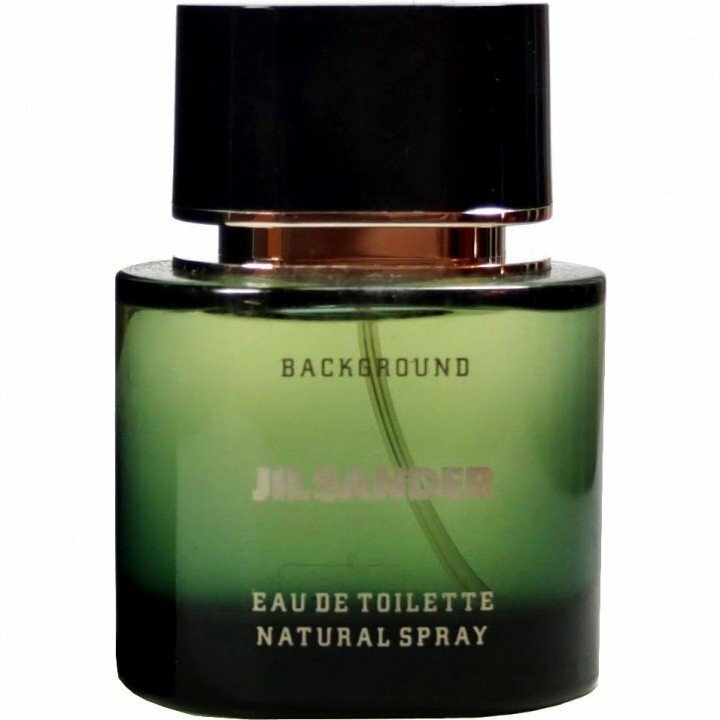 Nevertheless, I am glad to know Jil Sander's "Background" and have the pleasure of applying a few drops once in a while. Write the first Review for Background (Eau de Toilette)!